It seems the film industry has tapped into my TBR in order to find material for scripts. Looking at my bookshelves, there are many books that didn't exist on film when I obtained them but have since been adapted. This year there's Never Let Me Go, Water For Elephants and the relatively unknown Submarine; all books I've had sat on my shelves for at least a year. Whilst book people are generally pretty good at not giving out spoilers, the same can't be said for those that love films. People like to know what a film's going to be about before parting with their hard earned pennies, but as a reader, I like to start a book knowing as little as possible. Once a book has been made into a film, it's hard to ignore it. When I went to see Never Let Me Go (after finally getting round to reading it), I saw the Water For Elephants trailer and felt like sticking my fingers in my ears and going 'lalalala'. I promptly read my copy and am now looking forward to the release of the film. I have to admit it looks pretty spectacular. 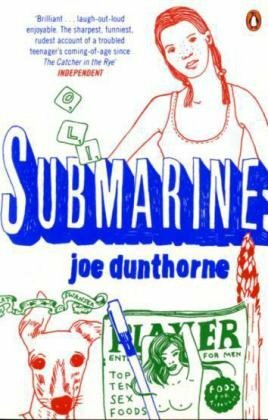 I picked up Submarine after Joe Dunthorne wrote and read a version of Hansel and Gretel for a Shoot London event. It's one of those books that I felt I had as long as I like to get round to reading it. Now there's pressure...and I sort of want to see the film now I've heard it's directed by Moss from The IT Crowd. With any luck the film will be as low-key as the book and I can patiently wait for the DVD. I tend to read the book first and then see the movie. I usually enjoy the movie although in the case of Bridget Jones Diary I preferred the movie to the books but had seen the movie first. I didn't realise it was written by the Shoot London guy! :) The film is wonderful, Tzevai and I saw it last week and it was beautiful and understated and tragically funny. Definitely worth a watch. Hey, nice outcomes here. I like the way you represent film industry reviews in public mind. I was hoping to put this as a further reference.